With migratory routes stretching across continents, the Syrian refugee crisis has assumed global proportions. At the same time, many displaced Syrians resist or challenge the very notion of refugee; while some have sought and welcomed refugee status and asylum in host countries, others remain unregistered and in the shadows of official categories. The experience of displacement is far from unitary and the responses to migration–and migrants–complex. Over 10 million Syrians have been displaced by the conflict, the vast majority finding refuge in neighboring countries (especially Turkey, Lebanon, and Jordan), while many hundreds of thousands have found their way to Europe. To date, over 10,000 have settled in the U.S. Many Syrians have shown great creativity and resilience in the face of unimaginable hardship. Their experiences are beginning to be widely documented by journalists, activists, and academics, but to date the dominant narrative has focused on their status as refugees, their victimhood, and the potential risks they pose to host countries. Their potential–and actual–contributions to their host countries have not been adequately explored. 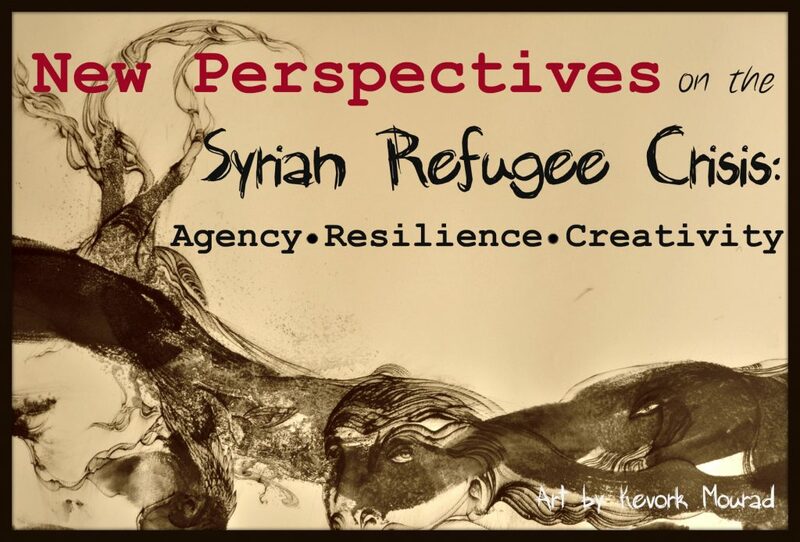 This symposium will redress the oversight of Syrian refugees’ contributions to host countries by exploring and documenting the agency, creativity, and resilience of displaced Syrians, highlighting Syrian voices from Turkey, Europe, and the U.S., with special attention to Syrian artists and intellectuals, especially women. Please join us as we bring together scholars of human rights, anthropology, migration, and public policy, as well as Syrian refugees themselves, to rethink the crisis unfolding in the Eastern Mediterranean today. Space is limited so please RSVP early. The Roosevelt House Public Policy Institute at Hunter College has a three-fold mission: to educate students in public policy and human rights, to support faculty research, and to foster creative dialogue. The Eva Kastan Grove Fellowship Program provides mentorship, professional development, and support to students who are committed to public service, public policy, and human rights. The Eva Kastan Grove Fellowship Program was made possible by the Grove family in honor of Hunter alumna Eva Grove’s 80th birthday. The Eva Kastan Grove Fellowship Program ensures that Eva’s lifelong commitment to advocacy, social service, and philanthropy endures. The Department of Anthropology at Hunter College is also a co-sponsor.